If you are just getting into playing an electric guitar, electric bass guitar or violin (click here for beginner violins), you might have already thought about getting the best microphone for guitar amps! No matter if you’re an advanced player looking to upgrade your equipment or if you’re a beginner trying to up your skill level, there are plenty of options for both parties to choose from. Buying a new microphone for your guitar amp can be a very exciting journey, but it can be very straining and demotivating too, especially when you have such a large pool of options to choose from! 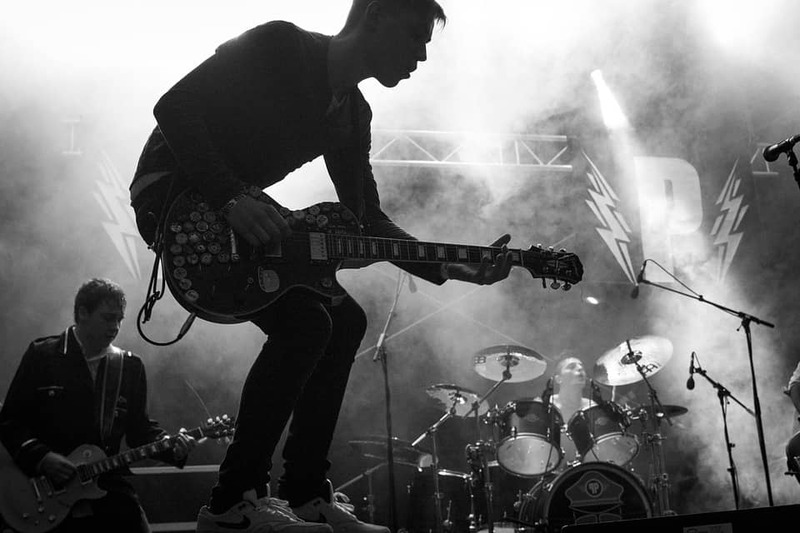 Brands like AKG, Beyerdynamic, Neumann, Shure and Sennheiser are industry standards and that’s why even an advanced guitar player can have a hard time choosing the right microphone for him or herself. The versatility is stunning, and the features that come with each mic seem like an endless sea of possibilities. Buying a mic for guitar amps can be especially difficult, since companies aren’t known to tailor-make mics just for guitar amp recordings. Luckily, we managed to sift through all of that information and we gave you only the top picks just for that purpose! When you are going to be buying your new mic, especially if you’re a beginner (or an advanced player that has been out-of-touch with the new developments in the mic world!) the terms can be especially confusing. What even makes a good microphone? We’re here to discuss exactly that! 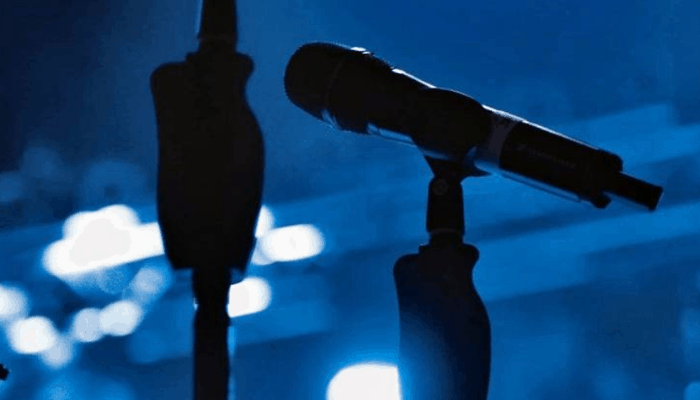 The instrument microphone market is saturated with hundreds of products that will look attractive to the customer both price and design wise, and that’s why it can be difficult to choose one single product. What is the best way to use and place a Microphone for Guitar Amp? What should be considered when recording Guitar Amps? Does amp selection make a difference when recording? Do you need good monitors or speakers when recording Guitar Amps? How do you choose the top Microphone for Guitar Amp recording? We know how frustrating it can be to spend hours looking for the perfect mic and never finding one, and that’s why we compiled a list to help save all those wasted hours! We listed 10 products we think are at the top of their game and arranged a series of bite-size informational paragraphs about the product itself so that you can be sure that you know what you’re getting into! If you are overwhelmed by the microphone selection owned by Shure Beta and can’t decide between the dozens of options, we can wholeheartedly recommend the SM57-LC. It’s the ideal bundle for anyone that doesn’t like to buy detached pieces of equipment where you need to arrange an adapter, microphone, cable, stand and windscreen separately. This bundle comes in four options, you can get the mic without the cable, the mic with a stand, cable and windscreen and the usb condenser microphones with an XLR to USB adapter. This mic has a frequency response of 40 to 15,000Hz, which means it can be the perfect product to record drum and percussion instruments. 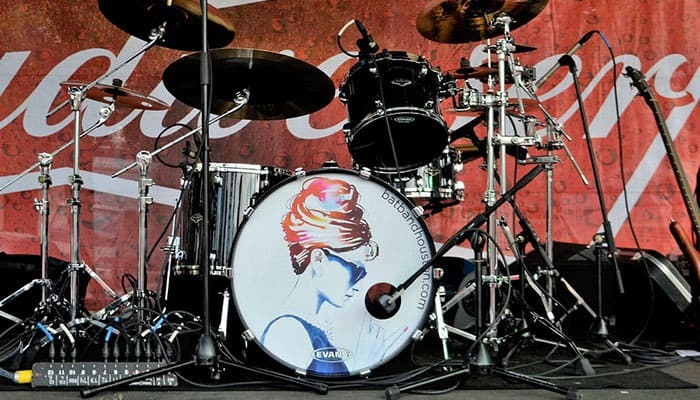 See our review on the top kick drum mics! With Shure’s product you will get professional quality recordings that will be able to reproduce your style and sound faithfully and without trouble.The cardioid condenser pattern present on this microphone is designed in a way to isolate any sounds coming from the sides and back to allow the mic to have full focus on the instrument in front. This is a brilliant feature for anyone that doesn’t have the luxury to play in a quiet place or has to share a garage or studio with bandmates during recording. 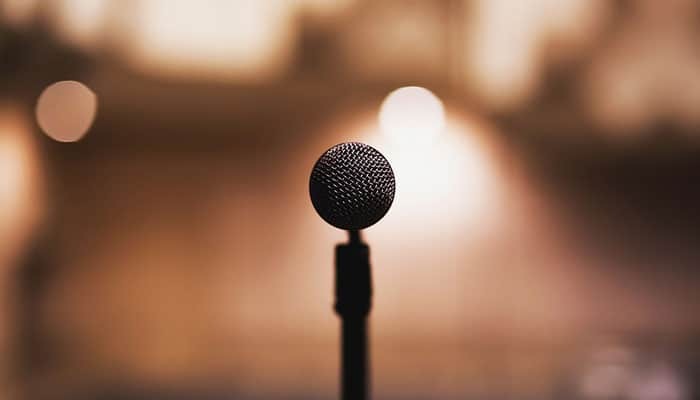 The microphone itself is very durable thanks to the heavy-duty materials that were used to make both the handle and the head, which means taking this little device shouldn’t cause any trouble! Why We Liked It - Shure’s product stood out to us because it offers the customers a mix of both endurance and options. You will not only get to choose what equipment you want your mic to be accompanied with, but you will be able to keep it for a very long time thanks to the durable craftsmanship that Shure is famous for! If you are looking for an all-around inclusive product, the SM57-LC is a wonderful choice for any musician. AKG has been a well-known brand in the industry for years, they not only have experience with microphones but with headphones, too. That means that they are well aware of what features need to be included in each product to give you the beast audible experience. The C414 XLS has many features that are engineered in a way to make this microphone function at its best capability. It has been crafted in a way to allow you to have a blank canvas to work with; this mic won’t change or alter any of your recordings or tracks and will be 100% faithful to the reality of things. If you will want to experiment with your instruments, Shure will also offer you nine polar patterns that you can switch between to get the ideal set-up no matter how, where or with what you will want to use your mic.This is one of the features that makes AKG’s microphone stand out, since they allow you to tailor your product specifically to your needs, no matter what they may be. If you are looking for a good, versatile and well-produced microphone, the C414 XLS is one of the best on the market when it comes to offering the buyer multiple choices and options. There are also three different bass-cut filters that you can switch between to eliminate wind noise or any sort of proximity effect. Why We Liked It - AKG is known to have industry-leading USB microphones for recording acoustic and microphones for recording electric and bass guitar thanks to the versatility that they provide with their products. If you are an advanced player and want to experiment and improve your music, AKG’s mic will take your skill level than you can imagine. 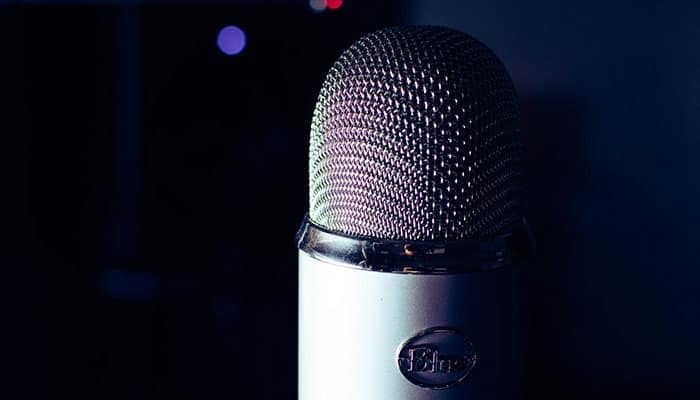 If you are a beginner, you will be able to experience the wonders of having such a versatile mic at such an early stage and will be able to quickly find your niche! Royer Labs is one of those brands that has made it their goal to have the best, ultimate quality microphone on the market, and it’s easy to say that they succeeded with the Royer R121. This ribbon microphone has very high maz SPL capabilities with make it perfect for anyone that has to deal with sounds that are prone to be easily distorted. With the Royer R121 you can rest assured that you won’t be exposing your instruments to any distortion whatsoever since Royer Labs made sure to help customers avoid that frustrating problem that many musicians have to deal with on a daily basis. Not only does the Royer R121 have max SPL capabilities, but it also doesn’t have any internal electronics that could disturb the course of recording. Many microphones nowadays have a lot of small devices within the mic itself and they tend to produce a lot of distortion, but Royer Labs made sure to protect their microphone from such incidents. The ribbon element of this mic is also not affected by heat or humidity, therefore no matter if you use this mic to amplify your guitar amplifiers or if to sing, you can be sure that it won’t over-heat and reek havoc short-circuiting the rest of your studio gear. Why We Liked It - The common problem with microphones nowadays is that brands try and make each product sound unique and have the best options, but forget about having the mic remain faithful to the player. Royer Labs R-121 is one of our favorite microphones because it has a lot of useful features but still manages to remain true to reality and how the instruments sound in real life without majorly editing and distorting them in the process. CAD has been known to make extremely durable and sturdy microphones for years, and you don’t have to look far to realize that. The mics themselves look very well made and heavy-duty and are perfect for tours and studio use for both bands and solo artists. This mic is perfect for live recording a guitar amp and can also be used to record brass, bass cabinets, floor toms, record drums etc. The TSM411 has been on the market for over a decade and it’s good to see that the customers are just as excited about it ten years later as they were when it was first put out on the market! 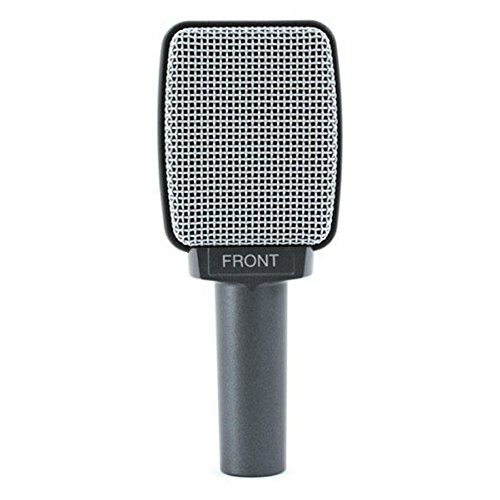 It’s truly a top-quality product that has withstood the test of time and proves to be one of the best mics years later. Many customers have praised this mic for being perfect for miking the guitar amps, the bass response here is wonderful and will give your guitar recordings a solid punch that many other mics fail to provide. It handles sound very well and doesn’t prioritize any notes, it gives a great, and level recording that is hard to beat. It’s very compact and doesn’t take up much space at all which is vital when you already have a packed studio or full tour bags! Why We Liked It - CAD’s microphone is perfect for guitar amps thanks to the clear recordings and live performances that it can provide. It comes in pristine condition and can be used both live sound and within studios, which makes it not only a very durable but also very versatile microphone that can suit the needs of many! Neumann has been an industry giant for decades and it’s easy to see why; many people refer to the U87 Ai as the best known and most widely used professional studio microphone in the world. That is a big claim from Neumann, but it’s easily supported. Any time you decide to enter a professional or home recording studio, you will surely see this product sitting near guitar amplifiers or hanging on a stand ready to be used. The popular design is a trademark in itself, as well as the smooth, original and natural sound that doesn’t distort the real sound source that it’s coming from. This mic is definitely a jack-of-all-trades, and the packaging that this mic comes with is nothing short of impressive. You will get a wooden box filled with foam that keeps the mic protected from any accidents that can happen during its delivery to the shop or your home. It’s a solid product that has a bit of bulk to it to ensure its durability and the design is slick and smooth. If you like to have your guitar sound warm and inviting, then this trademark Neumann sound will definitely suit your recording and performing needs. Why We Liked It - Neumann is an industry standard, and it’s definitely more for advanced players since all of the options, uses and care can be a bit confusing, especially when you’re handling such an expensive product. Regardless, this is the best of the best microphones that any musician will wholeheartedly encourage you to buy, and we also think that it’s 100% worth it! Despite the Sennheiser looking rather bulky, it’s actually very lightweight and compact, which makes it a wonderful travel companion and studio device. The design is crafted in a way to enable easy close miking of guitar amps without letting in any distortion through. Many musicians tend to often face the frustration of the high E notes causing havoc during close-up recordings, but the E609 is made not only to be a heavy-duty microphone, but to also handle high-peak sounds with dignity. The original, lateral design allows this microphone to be hung from a speaker cabinet and doesn’t necessarily require a clip. This mic is surrounded by 5-star reviews all around and is praised most of all for being a fantastic microphone to mic guitar amplifiers. Many people who have purchased this mic have praised it for being nearly invisible during live sound shows when it’s hanging down from the amp speaker grilles, which is a big plus for those musicians that like to have a certain kind of stage appeal. The E609 is definitely a microphone that can enhance all of the sounds you play and make them sound more clear and linear than any other mic on this list! Why We Liked It - The Sennheiser E609 is the ideal microphone for recording guitar amp live performance and for playing live. No matter where you are going, this microphone can easily accompany you, since it’s a small, compact and durable little device that will help you faithfully represent your solo and band work without distorting any of the sounds! The Sennheiser MD421 is one of the most popular microphones in the world thanks to its sonic qualities. You can use this mic in various recording situations to match your set-up and equipment flawlessly and there is also a 5-stage bass present that helps enhance all of the new qualities. This mic will give you great feedback rejection, clear and transparent sound that won’t alter but enhance your instruments, and is overall very durable piece of equipment which will help you achieve only the best performance, whether it be in the studio or during live shows where the audience is depending on you. When purchasing this mic you will be investing in a product designed by one of the world’s leading brands, and it’s easy to see why that should matter. The quality of the craftsmanship here is unrivaled and cannot be easily beat, and that’s why Sennheiser is one of the top brands in its niche. They make sure to improve their equipment based on the feedback of customers, and that’s what sets them apart from many other companies and why they have manage to make such a well-sought after, fantastic microphone such as the Sennheiser MD421! Why We Liked It - The Sennheiser MD 421 is a wonderful product that will accompany any professional or aspiring musician in their musical journey. With this mic you will get a microphone that will give you clear sound, great feedback rejection and overall great sound that will make all the other musicians in the room surely jealous! Beyerdynamic’s microphone is the perfect companion for anyone that is looking for a trusty, guitar amp mic. Being listed in the Top 10 of Amazon’s ribbon mic category, there are a few reasons as to why customers have been ranking this mic up so high in the scale. The unique double ribbon design is key to this product. Since Beyerdynamic is one of the few left over brands that is still even producing ribbon microphones! It can record string instruments and make them shine in their best light, but it can also accompany to faithfully reproduce sounds of a piano, acoustic drums and saxophone. Thanks to its compact size, this mic is widely popular in the film and music business, places where you want to usually conceal the microphones and not have them reflect unnecessary light. The frequency response is fantastic and the hyper cardioid pattern helps to reproduce accurate sounds on demand, whenever and wherever you are. The sound of the microphone itself is warm, natural and inviting and should give an essence of originality to whoever decides to invest. If you are into more vintage, natural guitar tones, this should definitely be your first go-to pick; you won’t find a more versatile mic out on the market! Why We Liked It - If you are looking for a versatile guitar mic that will immediately pick up your guitar amp, the M160 is the best choice. You will not only be getting a clear, natural tone that won’t alter any of your notes, but also warm, smooth vintage guitar tones that will make your recordings and live performance shine. No matter if you’re a beginner or advanced player, this mic is perfect for all! AKG has proven many times that not only are they capable of making fantastic headphone sets, but quality, industry-leading microphones too. The AKG C414 XLII has been widely known for being the go-to guitar mic if you are going to be recording your guitar amp and will also want to experiment with the sound and style of the live performance and recording. With the C414 you have 9 switchable directional characteristics to choose from and it’s needless to say that each one sounds different, original and true to itself. There are 3 switchable bass cut filters, a peak-hold display and one more feature that many microphones could benefit from having: the lock mode. The lock mode has been specifically designed by AKG to allow the player save settings that they find most appealing. This is really a great, simple feature that can go a far way, especially if you don’t want to get frustrated and annoyed when you can’t remember how you achieved that particular sound and set-up the other session! 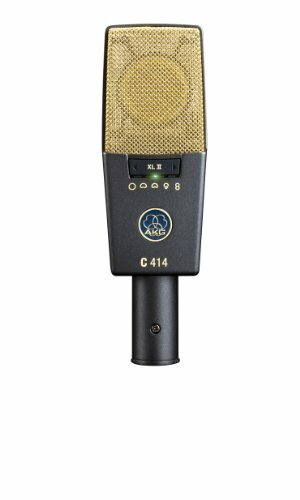 If you are looking for a microphone that will capture and enhance the harmonics of your playing without damaging the originality in the process, the C414 is your best bet. It has a warm, rich sound and will help you up your skill level without a doubt! 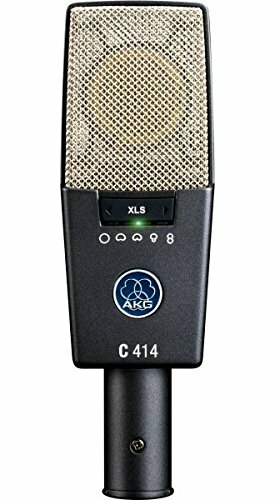 Why We Liked It - AKG’s C414 microphone is an advanced piece of studio gear that will serve anyone with utmost sincerity and accuracy. If you are willing to invest, this mic will offer you many options and features to explore; features that usually aren’t available with other mics above or below this price! One thing is for sure, if you are looking for versatility, the C414 is your choice. 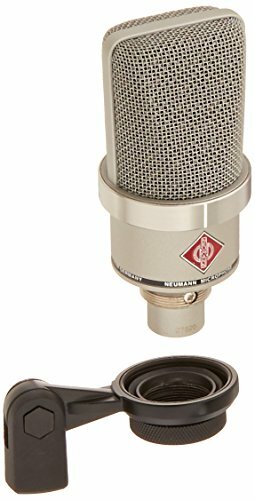 This compact little Neumann has conquered the hearts of many, and it’s to no surprise. The largediaphragm condenser microphone and its size are they key trademarks you would expect to find with any Neumann mic. The maximum sound pressure level is extremely high (144dB) which is ideal reassurance for anyone that may have been having trouble with distortions and pressure levels in the past. Neumann is well aware of how damaging badly handled SPL’s can be, and that’s why they made the TLM 102 well able to handle all of the high fret E guitars strings and the alike! With this mic you can rest assured that you will only get quality recordings in pristine condition. The product comes with a stand mount and you can choose between a nickel and matte black finish. Being on the market for over a decade now, this little device has definitely managed to stand the test of time. Customers from 10 years ago are just as happy with it as customers buying it today, which is a huge achievement since technology is changing relentlessly every day. 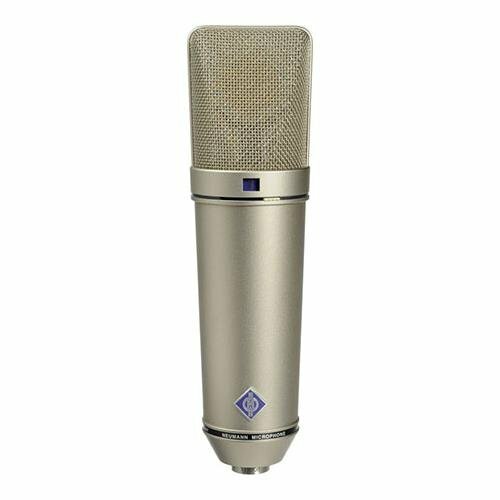 If you are looking for a mic that will keep you company for a decade or more, Neumann’s TLM 102 is a fantastic choice! Why We Liked It - The Neumann TLM 102 has been praised over and over again for its craftsmanship, performance and overall quality, but we think it deserves the praise thanks to the high SPL’s it can handle. Not many mics nowadays can reproduce very high sounds with distorting them in some way, but that is not the case with this mic. With the TLM 102 you will get to hear exactly what you play, no distortion added! The first question you need to ask yourself is: how will you be using your microphone. Is it for guitar amp recordings only? Maybe the band has a piano player that can also benefit from recording their practice tracks with your studio gear. Perhaps you will want to use the mic for recording some vocals, or to lend it to family members that also have music interests. No matter what the cause, it’s a good idea to list and decide beforehand what essential features you will need your mic to have. This will make it much easier to find a suitable mic down the road when you know what you’re looking for. 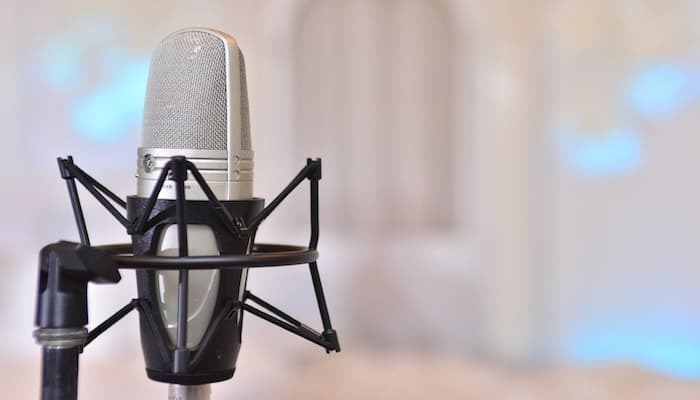 It’s also important to know from these studio gear guides if the new mic will match the rest of your studio gear and if you will be predominantly using it inside, outside or both! This is probably the most important segment of this article! Polar patterns are definitely one of the most vital topics here. They decide how, from where and when the music you play is received and from which side the background noise should be muted. 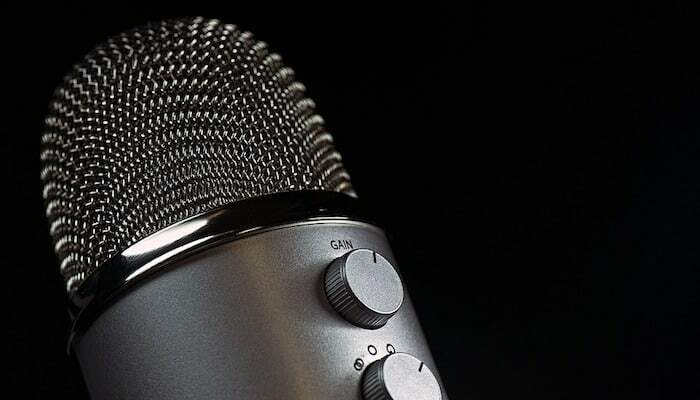 There are several types of polar patterns to choose from when purchasing a microphone and will discuss a few of the more popular ones that are useful for using with a guitar amp! What are polar patterns, anyway? Polar patterns are patterns that cover the head of the microphone and determine from which direction the sound is soaked in from and from which side it is rejected. The most common polar patterns are: cardioid, omnidirectional, bidirectional and super/hyper cardioid. + Cardioid pattern: the cardioid pattern is the most common pattern in the music business. It has the most sensitivity at the front of the head and rejects sound that comes from the back. If you usually have problems with ambient sound or background noises, this is the most effective type of microphone to silence those sounds out. It’s perfect for loud stages as well as noisy, small studios. Regardless, if you are looking for a mic that will single out the sound source and reject any unwanted noises, a cardioid-patterned microphone is the best pick. + Super cardioid pattern: this pattern will give you a narrower pickup and has a much stronger rejection of ambient and background noises. However, they have a bit of pickup right at the back of the microphone too. Placing speakers correctly is vital when using this microphone. Super cardioid mics are perfect for singling out sound sources in rowdy environments like on stages or during studio practice sessions. If you need a mic that is the most resistant to feedback, the super cardioid pattern should be your number 1 choice. + Omnidirectional pattern: omnidirectional mics have equal sensitivity both at the front and rear ends of the head, which means that when using this microphone you will be picking up sounds that are coming from all directions. Simply put, this mic has no rejection mechanism like the cardioid and super cardioid patterns do. This pattern is extremely easy to deal with since you won’t have to be fidgeting with speakers, trying to put them in the right position to capture and reproduce the sound faithfully! + Bi-directional pattern: a bi-directional mic (also knows a the Figure of Eight microphone) picks up sound from the front and the back of the microphone but rejects any sounds coming at a 90 degree angles (usually the sides). + Changeable patterns: some companies offer you the option of having multiple polar patterns that can be taken off from the head and exchanged with the help of capsules. For example, you can have a cardioid and omnidirectional capsule and you can switch them depending on what kind of environment you are working in. This is extremely useful for anyone that doesn’t like to be stuck with only one pattern and likes to have options. If you are looking for versatility, definitely grab a mic where you can interchange capsules! 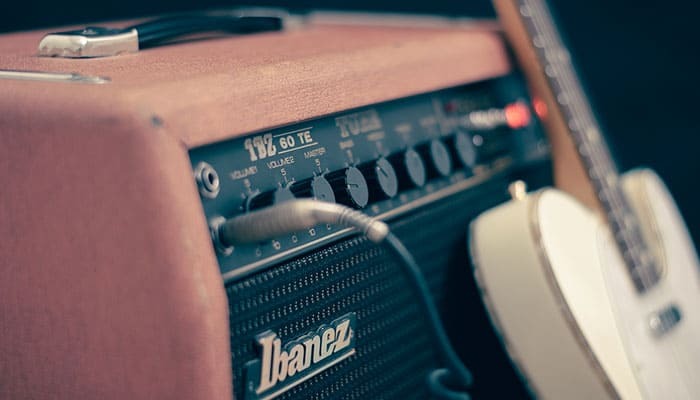 For guitar amps, the recommended frequency response is similar to that of a vocalist, and you should look for mics that have frequency responses between 80Hz- 5kHz. Each microphone usually has a set of instruments that it is tailored towards, for example some mics made specifically for vocalists and some for drummers. 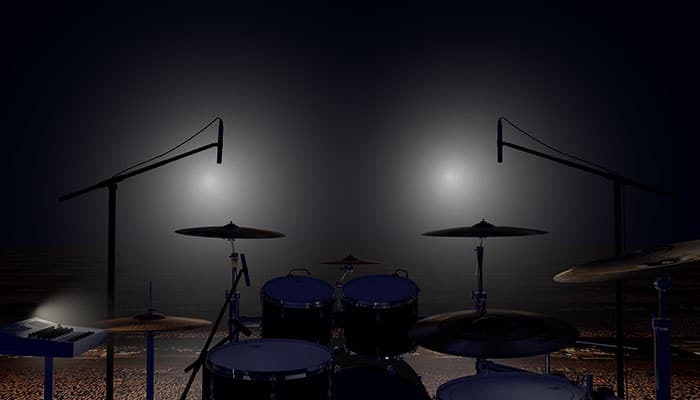 Usually however, a vocalist and a drummer cannot use the same microphone if they want to get the most out of their recordings. A vocalist would need a vocal mic that picks up higher frequencies, like 80Hz-15kHz, since humans usually can’t make sounds lower than that. Drummers however should get mics that can record sounds that go as deep as 30Hz-40Hz to accompany the deep, low sounds of the bass kick drum. When looking at product descriptions of mics, you will often find small, confusing looking graphs. These are graphs that map the response curves. What are response curves? They are lines that let you know visually about the frequency range of the particular mic you are intending on buying. These graphs let you know how a specific microphone performs at different frequencies and where it dips and rises. Many musicians find these types of graphs helpful because they can give you quick visual information of how a mic performs, what it specializes in and what are its distinct features when it comes to frequency. Every directional microphone has a default feature called the ‘Proximity Effect’. This means that the closer you get to your mic or the closer you place your mic to your amp or instrument, the deeper the bass response will be. This gives the recorded and live sound a warmer tone and is great to experiment with if you have some time and are looking for a vintage feel. If you are up for a challenge, you can play around with how close you can put your mic to your lips before it starts to give off the deep, warm bass sound! The sensitivity of the mic usually depends on the quiet sounds the mic can pick up. SPL stands for ‘Sound Pressure Level’ and can be measured in decibels. You can often find these levels under any microphone description since many musicians find this to be vital information. To put it simply, the lower the decibel number, the bigger the sensitivity of the mic. The average sensitivity is around 100dB and a high one goes anywhere beyond 140dB. Usually the best way to judge a microphone is by the street price. The more expensive the product, the better materials it will be made from and the more options and features it will have. There is a significant different between cheap and expensive microphones and that usually stems from the different metals they are made out of. Usually aluminum mics are the average standard that you should be looking for when purchasing a new microphone! Not only are there different polar patterns, but there are different microphone types, too! As confusing as this sounds, there really isn’t much to it. 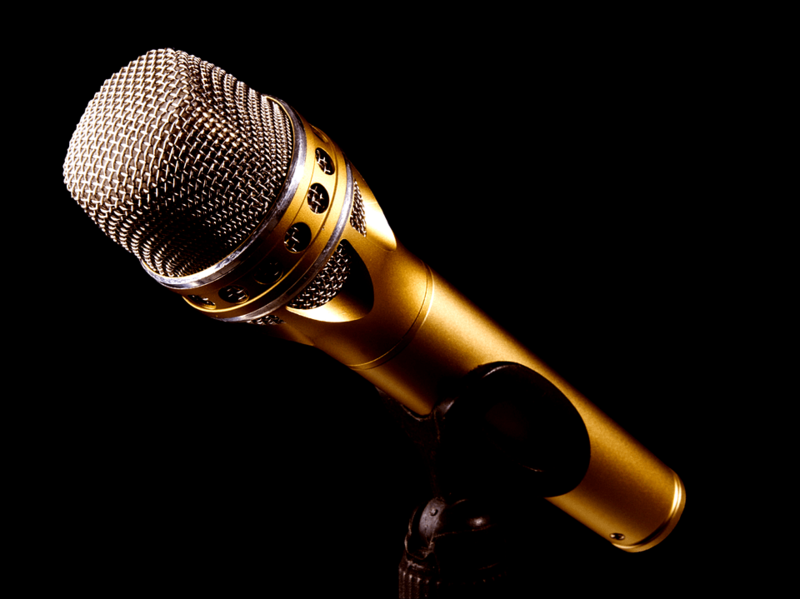 Usually, you will be looking at three types of microphones: condenser, ribbon and dynamic. Each of these three categories has their own specific features and they are usually used for very different purposes, too. Dynamic microphones can usually handle extremely high SPL’s and have internal shock mounts to encourage them to be hand-held. The polar patterns they have reject any surrounding noise that doesn’t come from the main sound source. Thanks to this mic being so easy to hold and carry around and thanks to the rejection of off-axis sounds, it makes this little device the perfect companion for stage live performance. These can of course also be used for studio recordings, but are mainly purchased to help musicians perform well during live sound shows. They are also less sensitive to SPL’s and high frequencies when compared to condenser mics. Many people like dynamic mics for recording electric guitar, recording acoustic guitars and acoustic drums. Condenser mics are usually way more responsive to the subtle details and the nuances of sounds than dynamics mics are. They are usually found within studios and have a much bigger frequency response than the other mics on this list. This contributes to their ability to immediately reproduce the speed of an instrument and/or voice. They have a rather loud out put but are very sensitive to high-frequency sounds and require you to use a power supply. They are also generally more expensive than dynamic mics. If you are looking for a clear and well-defined recording and performance, the condenser mic should be the go to product for you! These mics can handle high SPL’s very well and work great with electric and acoustic guitar amps, pianos and a great mic for vocals. Ribbon mics are the most delicate type of microphone out of all of these three options. They are known to soften the sound of the recordings and performances to enhance them with a warm, rich tone. 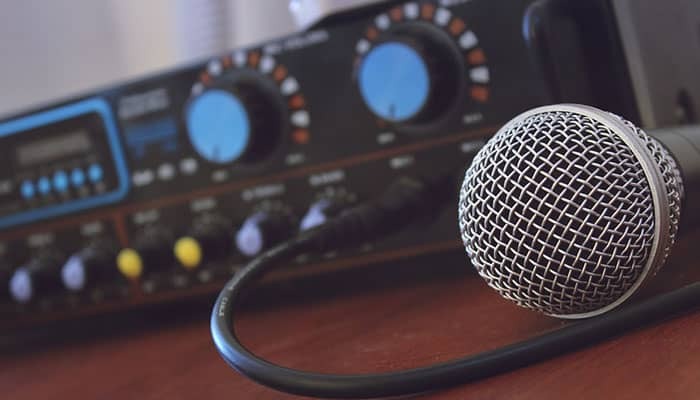 A ribbon mic is very similar to a dynamic mic, the only difference being the ribbon microphones have a thin layer of aluminum on the head while the dynamic microphones have a coil that connects to the diaphragm. Due to the delicacy of the ribbon mic, it is not recommended to use it when recording high SPL’s since it can damage the product. The common association with ribbon mics is that they have a very smooth sound and but need a lot of the mics preamps and clean gain to sound their best. 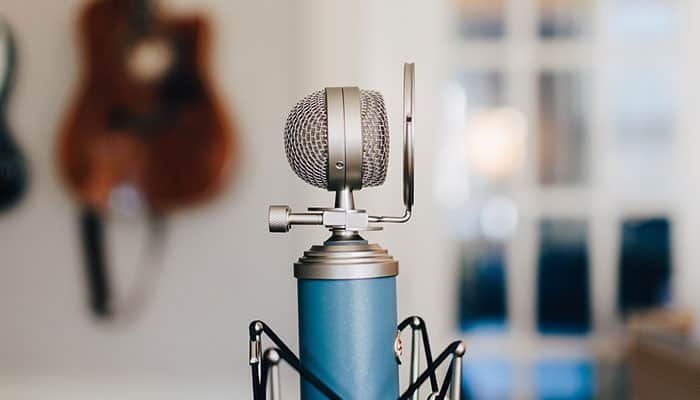 Buying a mic can end up being very expensive, especially if you need to buy adapters, mic stand, pop filters, USB cables and all the other necessities. Many brands know how expensive this can get and that’s why they usually offer a microphone bundle that includes all of these accessories, usually they throw in a carrying case for the microphone itself, too! Now that you’ve found a suitable mic, you are probably asking yourself how you can use it! Miking a guitar amp is relatively simple, but definitely not that easy! In retrospect all you need to do is grab the stand of your mics in front of the amp, but moving the mic even a cm to either side can greatly alter the end sound. If you want to avoid sitting in front of your amp for 40 minutes twisting and turning your mic trying to get the perfect sound, read on! Make sure your get the perfect mic for guitar amps! First of all, it’s very important to identify where the speaker within the amp is actually located. Flashing a torch or your phone’s flashlight into the speaker grilles of the amp easily does this; you should be able to see the speaker immediately. Putting your mic closer to the speaker will result in deeper bass tones, and moving it away will naturally reduce it. Moving the mic towards the edges of the speaker will give you reduced mid-range and upper-mid frequencies. Placing the mic close to the center speaker will give you more emphasized and bright sounds. The best advice when setting up is to test the guitar amp mic out! Test each position and see what works for you best and if the set-up goes along with what you want out of the rest of your recording or jamming session. A musician’s ear cannot be beat no matter how many tips and tricks we will give you! Moving the mic several inches to the right and left can yield very different results, and that’s why it’s important to experiment and see what suits you most. Each room is different, and sound will bounce off in different ways depending on what kind of room you find yourself in. This can be really frustrating for guitarists since the sound that reflects from the room boundaries will reach your mic later than the waves that come directly from the amp standing in front of you, which in turn causes a phenomenon called ‘phase cancellation’. This means there will be a series of peaks and dips, which will show the delay in the recording that is caused by the reflected and direct sounds. 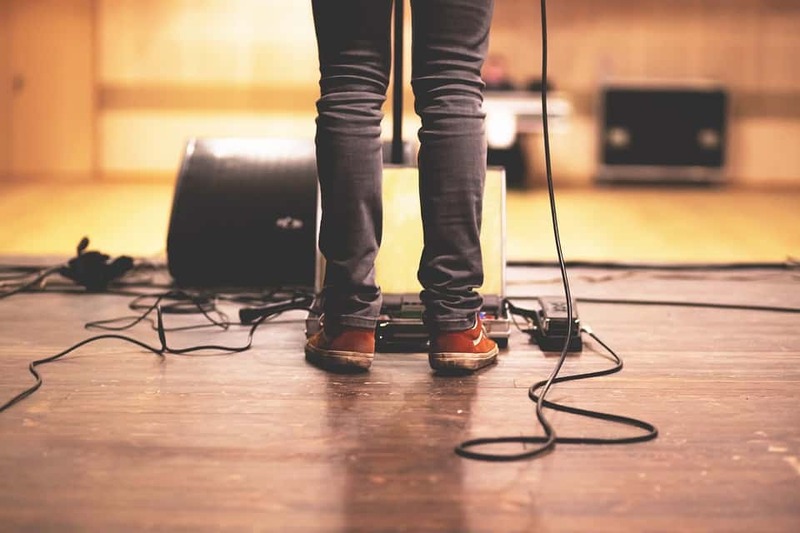 Depending on what kind of room you’re in, there is no doubt that you will have to move yourself and your amp around just as much as the mic itself! The room is initially a part of the sound, and certain places in the room can be recording sweet spots, that’s why it’s best to see which part of the room makes your guitar sing the best. When you’ve found the perfect spot, many professionals suggest that guitarists should lift or tilt their amps so that they don’t get phase-cancellations from the wall or floor. There are hundreds of tips and tricks like these and they usually come by through years of experience and experimenting! Of course! Depending on what amp you have or what amp you will end up buying, you will be getting a totally different sound depending on what product you will buy. The miking and set-up techniques don’t change, but the feel and tone of the recordings will certainly be different depending on what kind of amp you will be using. After all, the microphone will only pick up the waves that are coming at it, and if you have a high or low-quality amp, it will definitely come through in the recording. It’s best to decide what kind of amp you will be buying before you go and buy a microphone since there are many reviews and tips online that will give you names of bundles that go well with each other. Some amps and mics can sound better together than others, and that’s why it’s important to do well-rounded research to make sure you are going to purchases products that will only enhance your guitar playing and not completely alter and change it! Picking an amp is certainly no easy task, but as long as you take into consideration your needs and combine them with the opinions and experience of others, you should get the best combination you need for home recording and perform live! Naturally! Both good speakers and good monitors are important since you will need to get good quality mixes before you can go edit them. When you will be going to edit your guitar track, it’s vital to have good monitors to see all the dips, peaks and inconsistencies that you will need to correct. Good speakers will play a big role in the recordings since you will need to be able to place them well to get a good sound, especially if you are dealing with cardioid microphones. Good monitors will allow you to work quicker and faster than you would be able to with cheap and low-quality monitors. You will be able to easily spot all the mistakes and circumstantial accidents that happened during the recording and this will allow you to quickly fix them. 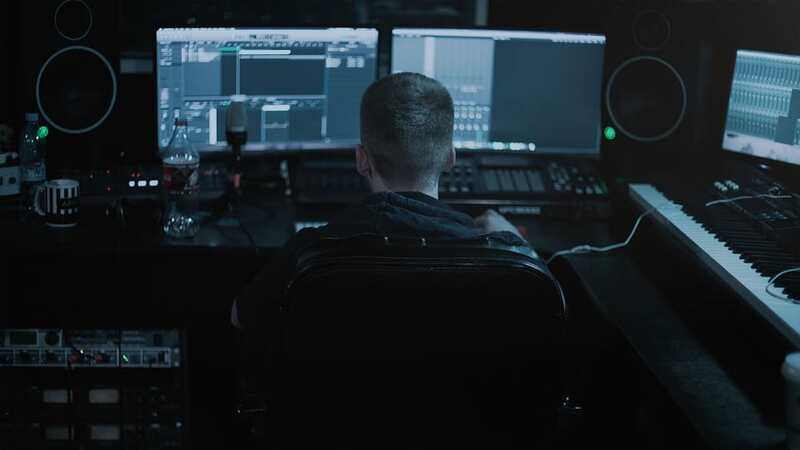 Bad monitors can make you mistake good information for bad data and vice versa, which in turn can lead to a lot of frustration, especially if you are on a tight deadline and need to finish the mix by due date. Good speakers will give you quality recordings, which is vital for anyone that wants to have professional sounding tracks that will show off your true skill level! Our best advice is to research and sees which mic sounds the best! All the leading-industry companies give out samples of how the mics sound with certain amps and many customers also provide videos that will show you comparisons between different sets of gear. The truth is, there is no one right answer since every guitarist is looking for something else when they record their tracks, but the one thing we can say is that hearing the products yourself can help you make a quicker decision than just going off of reviews! Our Top Choice product has to be AKG’s C414 XLS, since it’s another microphone know for its professional studio-quality sound and tailor-made features that can fit even the fussiest of players! With 9 polar patterns, you will be to spend a lot of time mix and matching the options to fit with your playing, and if you like to experiment and discover, this is definitely the best mic to go for. Many people tend to complain about how mics can change the tone or ‘feel’ of their recordings and how they don’t sound like they do in reality, and AKG decided to fix that problem. The AKG C414 has extreme clarity and neutral sound to give power to even the simplest and most basic details of your playing or singing. No matter what you will be using this mic for, you can rest assured that it will reproduce all of the sounds faithfully and accurately. The C414 has to be our Top Choice since many customers praise it for being very durable and being able to remain as new as when purchased for years. 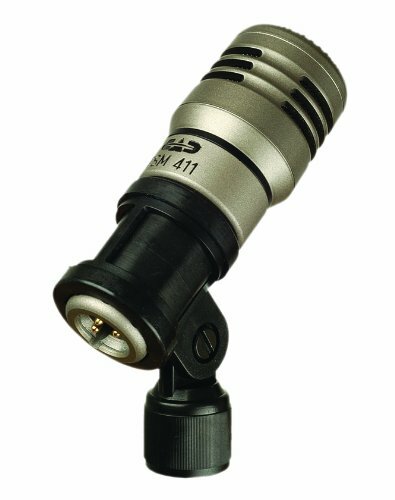 If you have been meaning to supply your studio with a worthy mic that can represent your instruments in their best light, then the C414 has you covered. The quality of this microphone is great and it can be used to record anything from guitars, to percussion, vocals and much more. 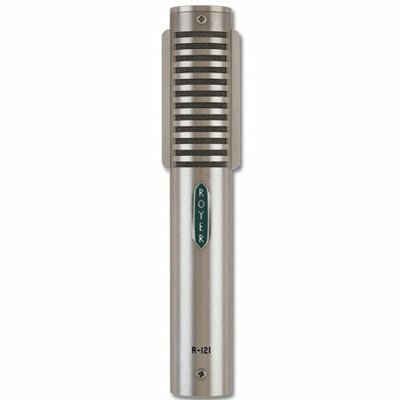 Our Premium Choice microphone has to be Royer Lab’s R-121. If you are looking for the ideal microphone to mike your amp with, this is definitely the one. You will get a bassy, clear roar and won’t have to spend hours trying to even out the mix since this mic is great at leveling out the sounds to not override each other. This is undoubtedly a studio quality mic and has been built to endure daily-studio life of professionals, which shows how much thought Royer Lab put into their products. This mic can also be used for miking live amps as well as studio ones, which make it one very versatile a high-quality mic. You will also be able to rest assured that you won’t get any high-frequency phase distortions or have the mic be affected by heat or humidity. 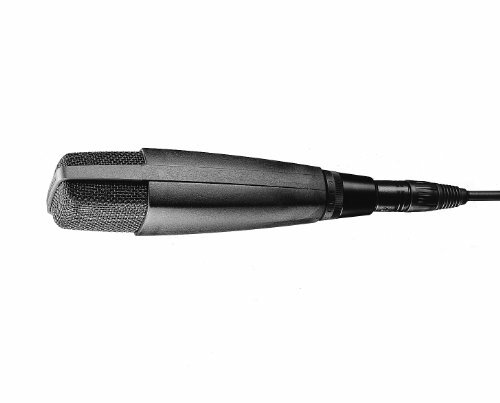 Royer Labs specifically designed this microphone to endure the hardest of uses and is definitely a heavy-duty mic, which is one of the features that make it so appealing to professionals that are well aware of all of the accidents that can happen both on tour and in studios. Royer Lab’s R-121 is our Premium Choice because no matter where you finalize the mic placements, it will have equal, all-around sensitivity bout at the back and front of the product. This is one fantastic recording mic that can be used to great audio effect in any studio and should serve you for many years if you decide to invest! 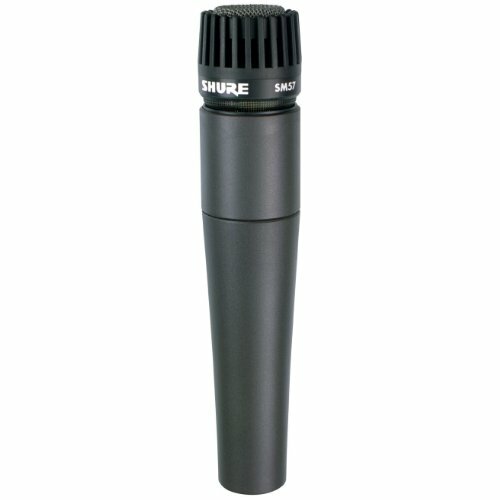 Our Great Value product has to be the Shure SM57 LC. You cannot get a more all-inclusive bundle at such a wonderful price anywhere else! This microphone will immediately focus on the main sound source that is placed in front of it and won’t take in any background noise coming from the sides. Every musician knows the frustration that comes with trying to record a track and having noisy band mates or relatives in the room. Shure took it upon them to provide their customers with the best mic that can put an end to all of that frustration and to make recording enjoyable again, with or without people around! Being in the Top 5 on Amazon’s microphone list, it’s easy to see why this product has won the hearts of many. It’s compacted, durable and performs extremely well under almost any condition. It’s a multi-purpose mic that is ideal for using as a guitar-amp microphone thanks to the clear sound that it uses to represent all of your playings. Shure’s SM57-LC is our Great Value choice because it is simply an industry standard. If you have been looking around to find the perfect combination of price, quality, and clarity, you don’t have to look any further! The Sm67-LC will provide you with professional standard recordings without robbing you off of your hard-earned money. 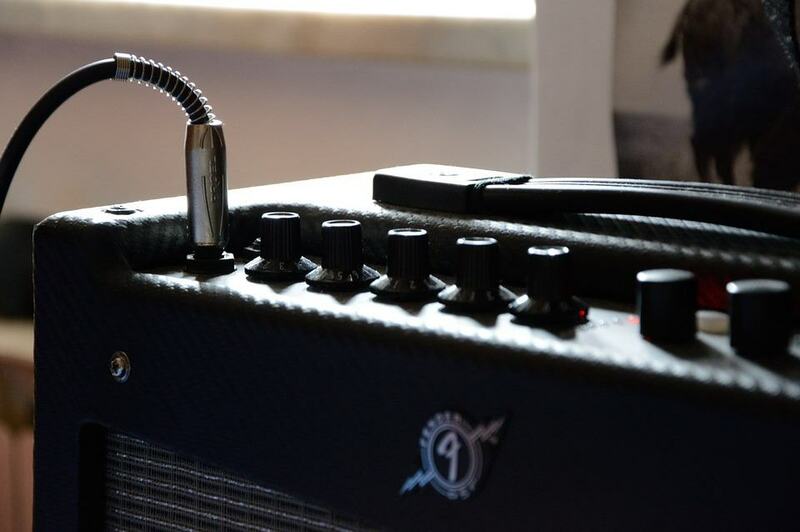 Choosing a mic for your guitar amp can be a long and straining journey, especially since most microphones are not tailored by default just for guitar amplifiers (read the study). It’s necessary to read many reviews to see what customers say about the suitability of a particular mic to using it as an amp microphone. Even though it can be hard to pick a good candidate to help you record and perform better when you are swarmed by a pool of endless options, we hope we managed to help you narrow down your options to the bare necessities and we hope you will be able to pick a microphone that suits you and your playing style quickly!